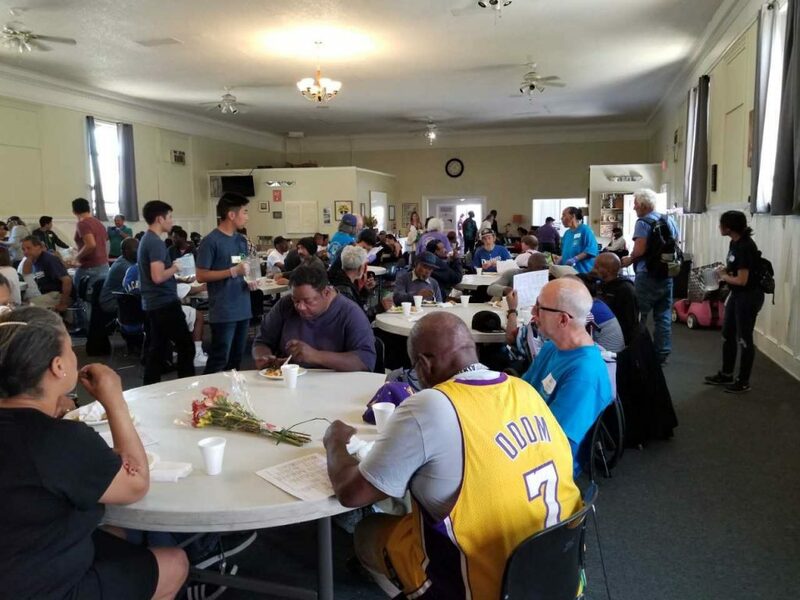 Thank you to the 5th Annual Belmont Heights Make a Difference Day for providing volunteers from Temple Israel and the Grey Panthers on Sunday, March 31, 2019. We also had students from Cal State Long Beach help at our interim drop-in center at Beacon for Him. 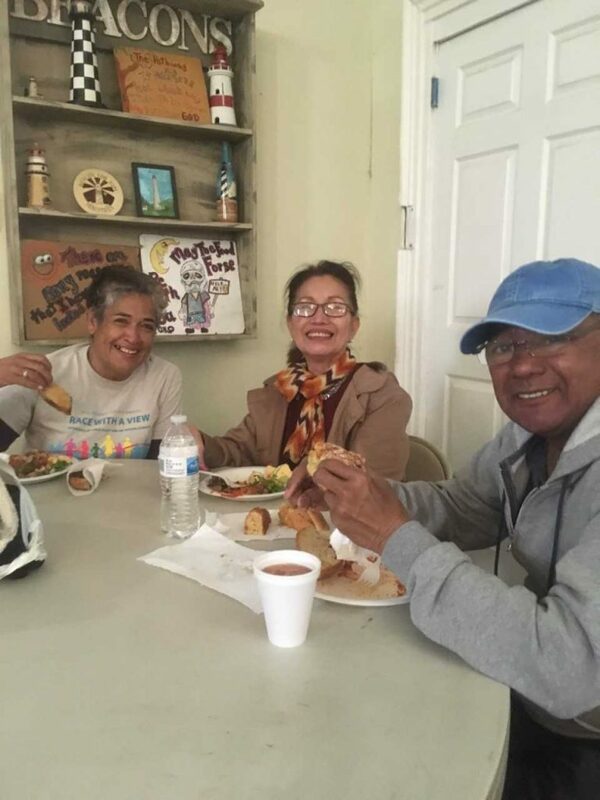 In all, over 50 volunteers helped us make and serve meals to 151 guests, of which 27 were new. Having our interim drop-in center 1.1 miles north may be posing a logistical barrier for some of our regular older and disabled guests. Thank you to our resilient team of volunteers and staff for transporting hot chicken curry, other foods and necessary supplies to Beacon and the supplies back again to the Congregational Church at the end of a long day. 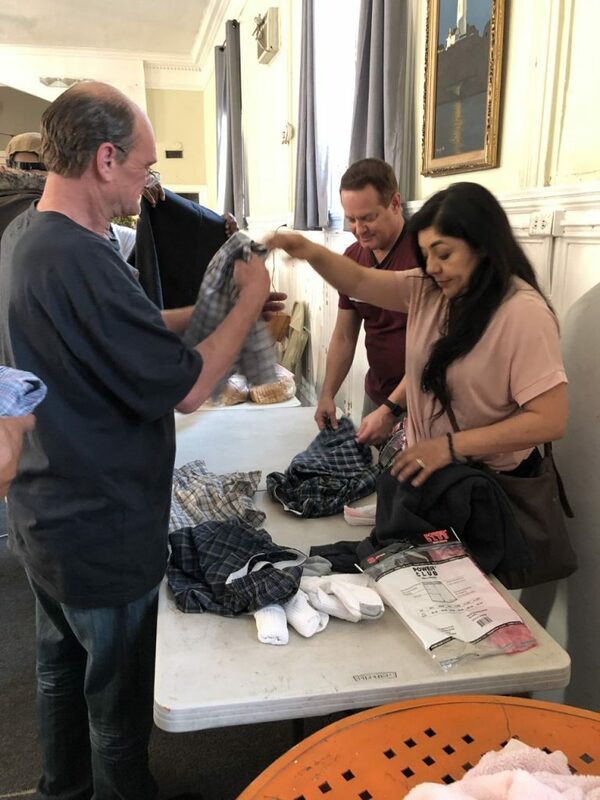 Thank you to Kevin and Katiana Luttrell, Dale Whitney and others for bringing clothing and shoes for our guests. We gave groceries, transportation funds, rent assistance, and other assistance to several people. We provided funds to a guest to get her DOJ background check that will enable her to work as an in-home care-giver and a recently housed guest for the enrollment fees for a class that he was ordered to take as part of his judicial punishment. A first-time guest, a 61-year-old gentleman, came in to tell his story of how he had a normal life until he became homeless. He was born and raised in Long Beach, went to Cypress College, worked as an electrician at the shipyard, once owned a condo, married for 18 years and took care of his wife until she passed two years ago. For nearly two years, he has been sleeping in his truck on Ocean Blvd. He is still working as an electrician and trying to maintain his independence, but has been struggling with grief and hopelessness. We will be working to help him renew the registration for his truck (which is a challenge because of outstanding parking tickets) and car insurance.